CrossFit Kids and CrossFit Kids Atlanta services are not a substitute for professional medical advice or a medical examination. Prior to participating in any program, activity, or exercise you should seek the advice of your physician and other qualified health-care professionals. You understand that these exercises can be strenuous and should be done in moderation. There is an inherent risk in any exercise that, while providing some health benefits, can also cause unknown health issues. You understand that there are weights, balls, bars, mats, chairs, and many other items commonly associated with a gymnasium that can be left around by any person associated with CrossFit Kids and CrossFit Kids Atlanta. It is every person's responsibility to anticipate these items being left in places where they can cause injury. 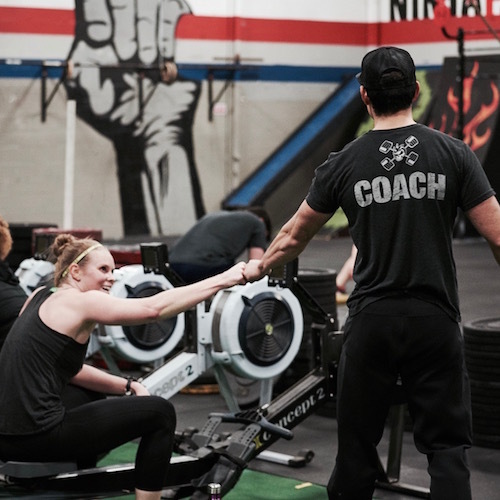 Application or reliance on the techniques, advice, ideas, and suggestions of any person associated with CrossFit Kids and CrossFit Kids Atlanta are at the sole discretion and risk of the participant and his/her parent and guardian. You agree, by participating in any program associated with CrossFit Kids and CrossFit Kids Atlanta, that CrossFit Kids and CrossFit Kids Atlanta shall not be liable for any direct, indirect, special, consequential, or exemplary damages for any injury or harm to you or your child incurred in or around the property where exercise occurs. I willingly assume full responsibility for the risks that I am exposing my child to and accept full responsibility for any injury or death that may result from his/her participation in any activity or class while at CrossFit Kids Atlanta. RELEASE: In consideration of the above mentioned risks and hazards and in consideration of the fact that I am willingly and voluntarily allowing my child’s participation in the activities available at CrossFit Kids Atlanta, I hereby release CrossFit Kids Atlanta, their principals, agents, employees, and volunteers from any and all liability, claims, demands, actions or rights of action, which are related to, arise out of, or are in any way connected with my child’s participation in this activity, including those allegedly attributed to the negligent acts or omissions of the above mentioned parties. I, the undersigned acknowledge that my child has no physical impairments or illnesses that will endanger him/her or others. IN CASE OF EMERGENCY: I also give full permission for any person connected to CrossFit Atlanta to administer first aid deemed necessary, and in case of serious illness or injury, I give permission to call for medical and or surgical care for the child and to transport the child to a medical facility deemed necessary for the well being of the child. IMAGES: I authorize CrossFit Atlanta to take pictures and movies of me and use them on their website and in other promotional and educational materials. I also understand that I may request their removal at anytime. INDEMNIFICATION: I recognize that there is a risk involved in the types of activities offered by CrossFit Kids Atlanta I therefore accept financial responsibility for any injury that I or my child may cause either to myself or to others. Should the above mentioned parties, or anyone acting on their behalf, be required to incur attorney’s fees and costs to enforce this agreement. I will reimburse them for such fees and costs. I agree to indemnify an hold harmless CrossFit Kids Atlanta, their principals, agents, employees, and volunteers from liability for the injury or death of any person(s) and damage to property that may result from my negligent or intentional act or omission while participating in activities offered by CrossFit Kids Atlanta. ACCEPTANCE: I have read and understood the foregoing and I understand that by signing it obligates me to indemnify the parties named for any liability for injury or death of any person and damage to property caused by me. I understand that by signing this form I am waiving valuable legal rights. By entering the information below, I am delivering an electronic signature that will have the same effect as an original manual paper signature. The electronic signature will be equally as binding as an original manual paper signature.